We are a young team and operate vehicle trading passionately and wholeheartedly. Our goal is to offer YOU the best possible selection of vehicles of all types of fuel, including electric mobility as well. Our long-standing experience in the automobile trade makes us YOUR contact for trading with vehicles of all manufacturers. We are permanently looking for vehicles that we can offer you at the best price-performance ratio. By constantly analysing the automobile market, we can offer you a selected range of vehicles which reflects the current vehicle market. Naturally we also offer you the financial services of our partner banks tailored to your needs. Here you will find vehicle offers that change on a weekly basis, which comprise nearly new cars as a rule. Purchasing a used, second-hand car, hence a unique model with an individual history, can always imply a certain risk. Lease returns are vehicles which are returned to the lessor following the agreed leasing period. NOT NEW! BUT ONLY YOU KNOW THAT! Profit from our experience when looking for your “NEW used vehicle”. Every used car is individual, just like every customer, so just like you. We are your partner and help you find the ideal mobile solution. Reliable mobility, ideal time management and a large selection of lease returns as well as company cars and (up to) one-year-old cars. Maintained, eligible for guarantee and, as a rule, not older than three years. Of course we also offer you the financial services of our partner banks, which are tailored to your needs. In spite of the age of digitalisation, we do not wish to lose the personal contact to you, because even the best pictures cannot replace a test drive or experiencing your “NEW used one” on site. See our offers for yourself while enjoying a cup of coffee in our showroom. Your time management is not necessarily always compatible with our opening hours, for this reason we offer you individual appointments beyond our office hours. We – AUSOLIS Trading GmbH- would like to give you full satisfaction with your vehicle purchase as a prospective buyer and as a customer, and we will try to achieve this with passion and dedication every day. For your customer satisfaction and loyalty is important to us. We look forward to your visit and phone call! 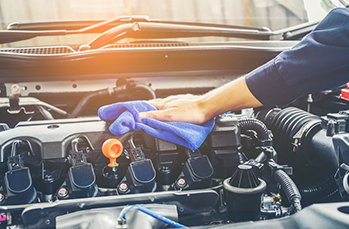 Since the demands on a used car are different, the condition of a vehicle is not always the same. Because not all of us are alike, the same goes for vehicles. Here and there a scratch might turn up or a small dent can appear. When this is the case… then our pricing policy takes this into account… or we find another solution. Please do not forget that in spite of the utmost care “used remains used”! Any further questions? Then write to us!